Many craft brewers jump into the market because they think they can brew the best beer out there. That feeling is spreading to other industries, including hops. If you can brew, why not grow? The craft beer industry is growing so popular that Shaun Townsend, Oregon State University’s hops breeder, said he regularly receives questions about hops growing from the public, the Oregon State University Extension Service reported. In addition to the typical hops growing questions that are thrown his way every week by inquisitive would-be hops growers (including how to deal with diseases and pests and the best hop varieties to grow), Townsend also teaches workshops on “hops growing 101.” Not only is Oregon a hotbed of hops growing activity, Oregon State University is also one of the most progressive in terms of hops breeding. Growing interest in craft brewing is driving budding interest in hops. 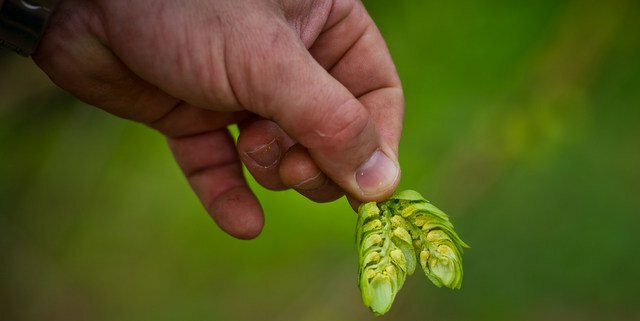 Indie Hops, an Oregon-based hops supplier founded in 2009 that does 100 percent of its sales to the craft brewing industry, worked with Oregon State University and Townsend on a hop breeding program in 2010 and 2011 that tackled studies focusing on hop maturity and oil extraction, to name a few projects. Additionally, the Oregon State University Extension Services also blazed trails in other hops areas including publishing a hops fertilizing guide back in 1994. With more eyes on the budding craft brewing industry, it’s only natural that interest in hops growing would spring up from the fertile industry ground.